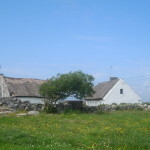 The churchyard about the late medieval church at Kilmalinoge continues in use into the twenty-first century as a Roman Catholic burial ground serving the local population. 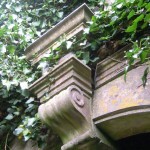 No sepulchral monuments or tombs exist within the church graveyard. However, near the south-east corner of the graveyard lies the unassuming burial plot of the Gurtray line of the Counts and Countesses O Kelly de Gallagh and Tycooly, it’s four corners at one time marked by four small yew trees, all but one of which were at one time cut down. The burial plot of the O Kellys of Gurtray, junior line of the Gallagh and Tycooly branch, marked by one of what was formerly four yew trees. 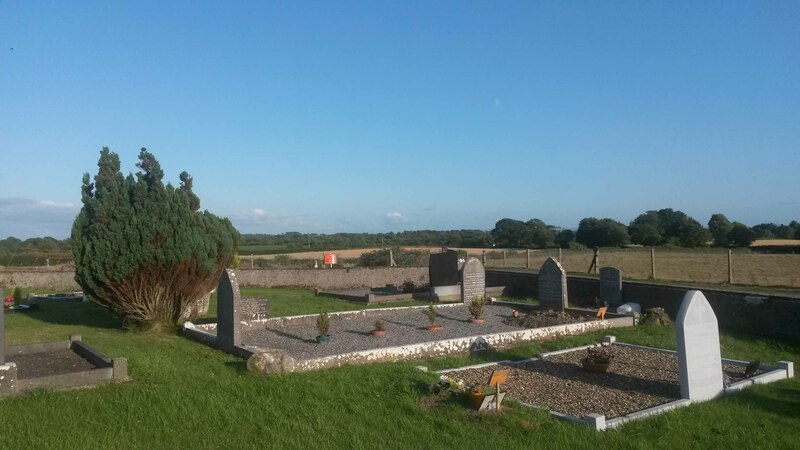 The O Kelly of Gurtray plot in the foreground with the remains of the medieval Kilmalinoge church behind. 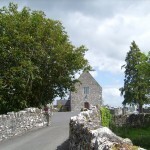 The Counts O Kelly de Gallagh and Tycooly were one of the most senior surviving lines of that name and a junior line of that branch came to be seated at Gurtray in the parish of Kilmalinoge, in close proximity to the old church, in the early nineteenth century. 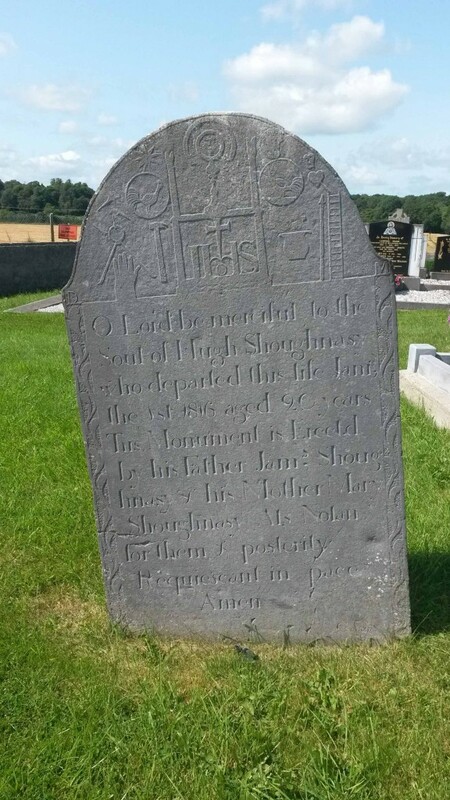 Hugh O Kelly of Lisdalon, the last chieftain of Uí Maine and who flourished in the late sixteenth century, died without male issue. No identifiable descendants of his immediate family or of lines more senior to that of Gallagh and Tycooly such as the O Kellys of Mullaghmore were known in the early nineteenth century or became extinct and in 1944 the senior-most male member of the Counts O Kelly of Gallagh and Tycooly was recognised by the then Chief Herald of Ireland as Chief of the Name. 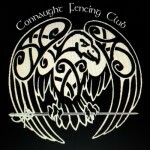 Descended from Teige dubh O Kelly of Gallagh, chieftain of Uí Maine or Hy Many who died in 1513, William O Kelly served as a captain in the army of King James II and, following the loss of his ancestral lands at Gallagh, settled at Tycooly in the parish of Killosolan in County Galway. 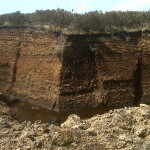 [i] He leased these lands from his wife’s family, the Dillons of Clonbrock. His grandson Dillon John O Kelly, son of William’s second son Festus, left Ireland and served in the Austrian army. In 1755 he married Marian, Countess of Klenowa, a favourite of the Empress and widow of the Hereditary Treasurer of Bohemia but had no issue. In recognition of what was described as ‘the great antiquity and celebrity’ of the family of Festus O Kelly and ‘having also favourably considered the faithful and praiseworthy military services that have been rendered by his son Dillon John O Kelly of Gallagh and Tycooly during the last eleven years and which are still being rendered by him in the capacity as Captain’ the Empress Maria Theresa of Austria in November of 1767 granted to Festus O Kelly ‘the Imperial and Royal grace of being raised, he and all his legitimate descendants and their heirs, whether male or female, to the rank and dignity of Counts and Countesses of our Kingdom, Principality and Hereditary States’, and in addition granted to them the title of ‘hoch und wohlgeborn’. 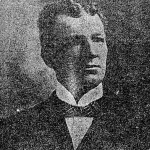 While Dillon John O Kelly was childless, by virtue of the grant being issued to his father in Ireland, the title of Count would nonetheless remain within the immediate family descended from his father. 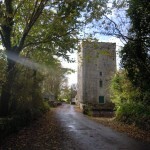 As Ambrose Michael died without a son, he was succeeded at Gurtray by his brother William Patrick who died in 1876 at the age of about thirty-two years. 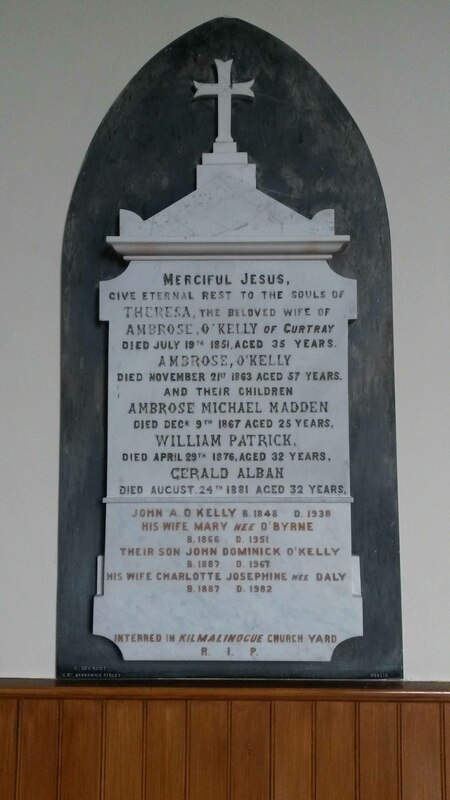 [iv] On the death of William Patrick, John Appleyard O Kelly, the third but eldest surviving son of Ambrose Patrick Madden O Kelly of Gurtray, at the age of approximately twenty-nine years, succeeded to Gurtray. Gerald Alban, born in 1849, the youngest son of Ambrose Patrick, married Eleanor Higgins of Ottawa, Canada and died in 1881. 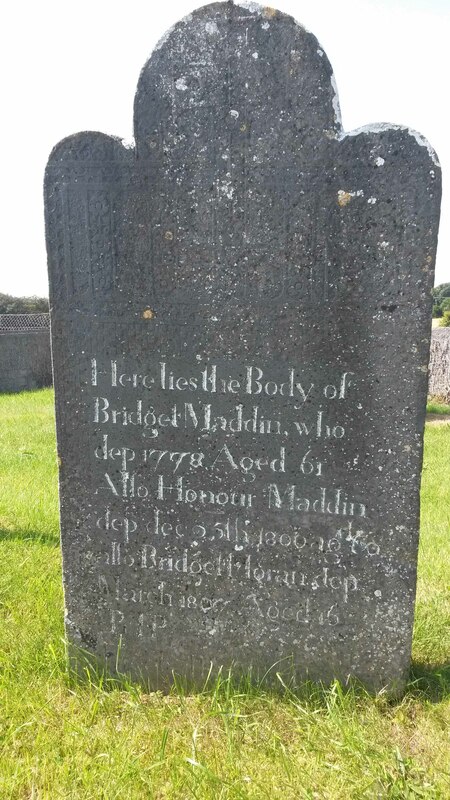 All four sons and their sister Theresa were buried at Kilmalinoge, as were a number of the descendants of John Appleyard O Kelly. 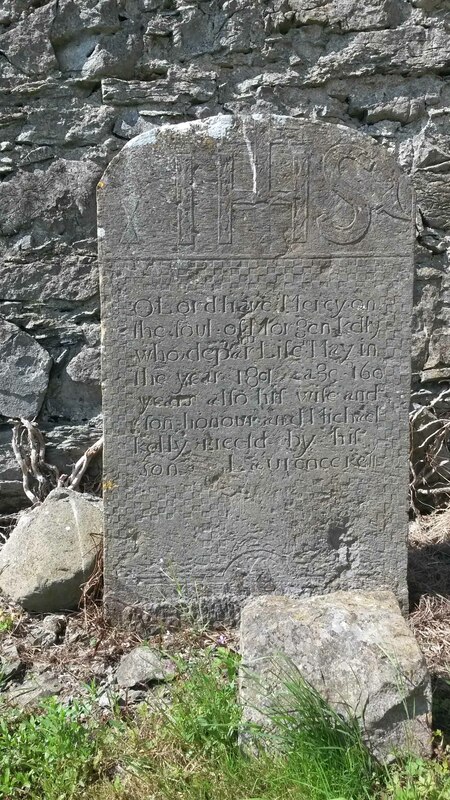 A wall memorial to the O Kellys of Gurtray erected in the Roman Catholic parish church of Boula, near Gurtray and Kilmalinoge. 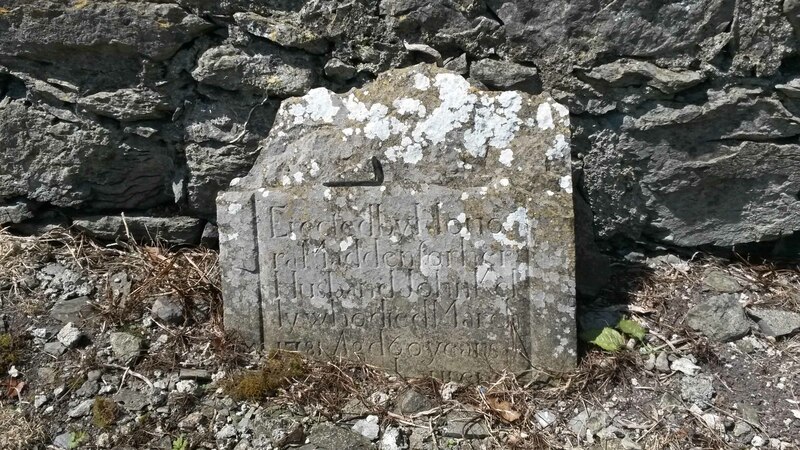 One of the headstones erected at the O Kelly burial plot at Kilmalinoge. 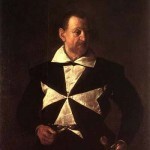 Several of the family were Knights of the Sovereign Military Hospitaller Order of St. John of Jerusalem of Rhodes and of Malta and members of the Irish Association of that Order, with Count Ambrose Alexander O Kelly, second son of Count John Appleyard holding the rank of Bailiff Grand Cross of Honour and Devotion. 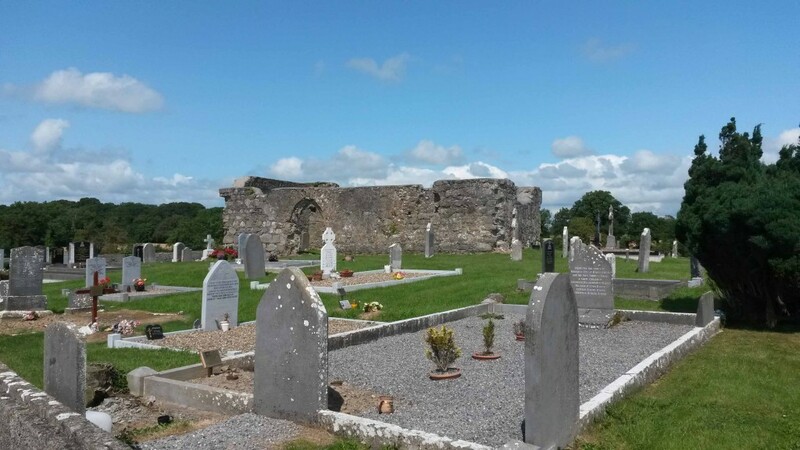 Count Eoin Peter O Kelly de Gallagh and Tycooly, the senior-most grandson of John Appleyard O Kelly, was the last of the male line to reside at Gurtray and, dying in 2004, was buried in Kilmalinoge. 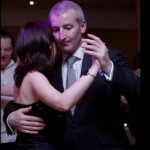 As his sister Maureen Jeanne was unmarried, Gurtray passed to the Deasy family as a result of the marriage of Count Eoin O Kelly’s sister Sheila Marie to Rickard Deasy of Carrigahorig, Co. Tipperary and in 2007 was put up for sale. 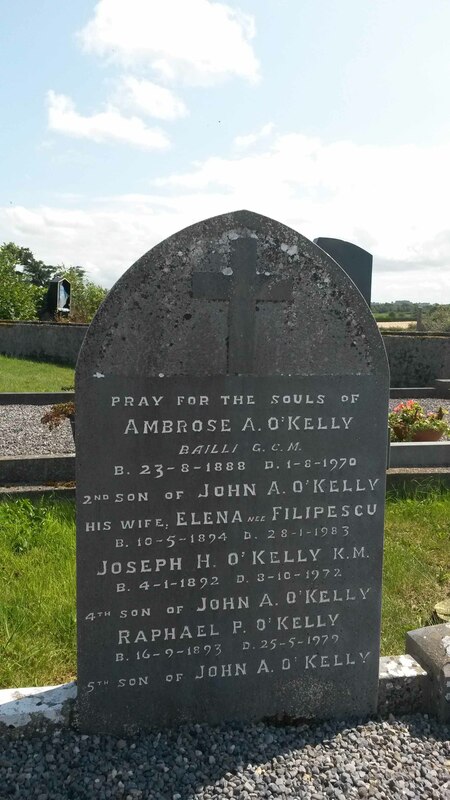 The O Kelly family, however, maintained their connection with the family burial plot, with Count Eoin O Kelly’s sister Countess Maureen O Kelly de Gallagh and Tycooly interred there following her death in September of 2013. 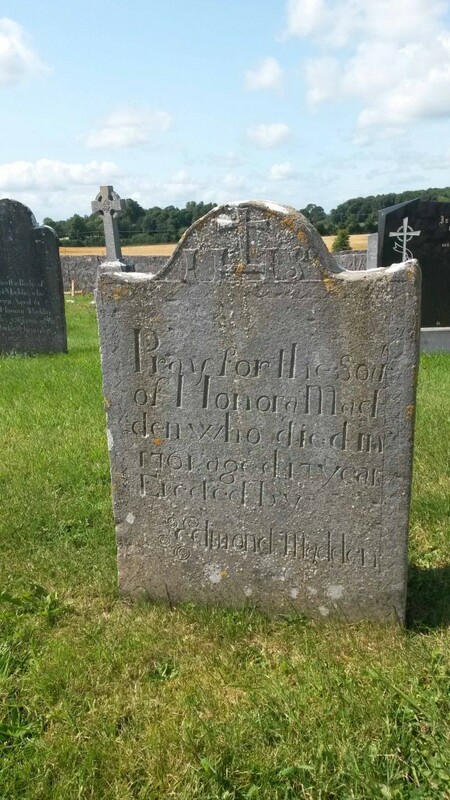 The earliest of the surviving headstones are located to the south of the church and date from the mid eighteenth century. 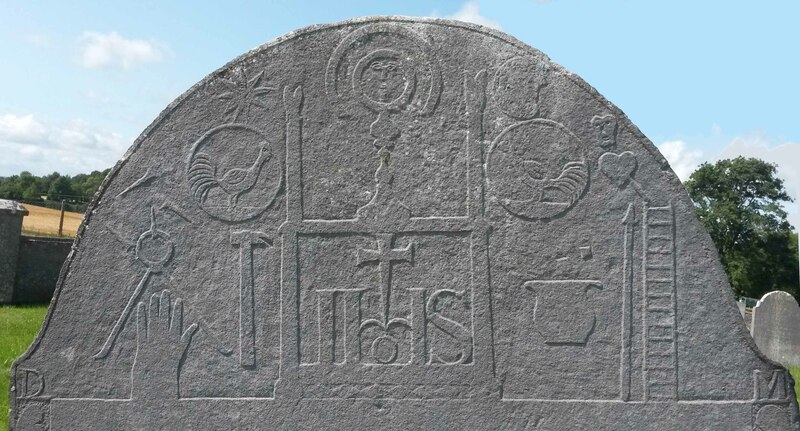 The sculptor’s initials DM are visible on either side of the crucifixion imagery (above). 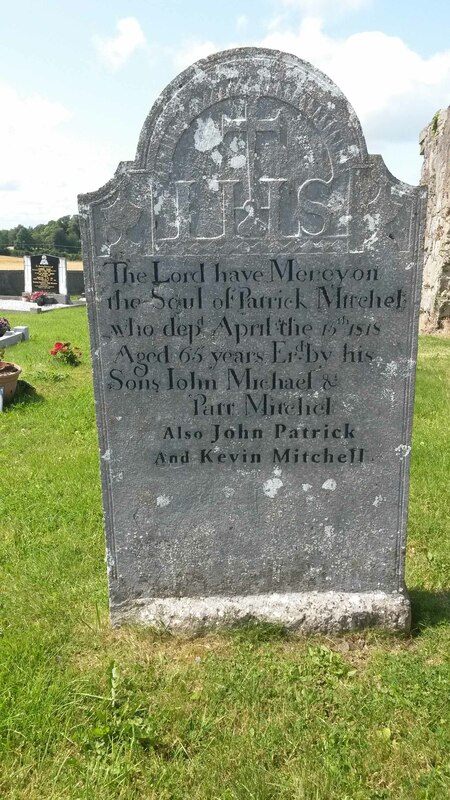 Headstone commemorating members of a Mitchel family dating from 1818. In addition to these earliest surviving memorials, the graveyard contains numerous headstones from the nineteenth, twentieth and twenty-first centuries. [i] Kelly, R.J., The O Kellys of Gallagh, Counts of the Holy Roman Empire, JGAHS, Vol. 3, No. III, p. 180-185. [ii] O Donovan, J., Tribes and Customs of Hy Many, commonly called O Kelly’s Country, Irish Archaeological Society, Dublin, 1843, pp. 122-3. [iv] Burke, Sir J. B., A genealogical and heraldic history of the Landed Gentry of Ireland (rev. by A.C. Fox-Davies), London, 1912.